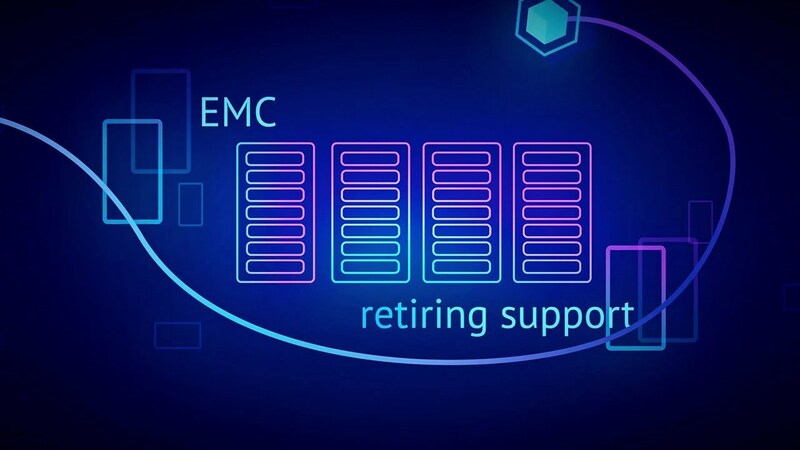 As a global provider of OEM-standard multi-vendor services, CDS is uniquely positioned to deliver the post warranty Dell EMC® storage and server support your business needs to stay online. Despite reaching end of warranty, your Dell storage solutions continue to serve your business needs. CDS will help ensure that your storage devices continue to deliver into the future by delivering the same quality of service you expect from Dell. Contact us today to discuss how we can extend the lifetime of your Dell EMC products and realize the total cost of ownership potential. Proactive maintenance services from CDS ensure your Dell EMC equipment continues to perform optimally, and protects against downtime and system failures. Our Level 3 engineers are available 7x24 to provide support and guidance when your business does experience technical issues with Dell EMC storage infrastructure. Help and assistance for redeploying post-warranty assets for additional capacity, or as part of a new testing environment. Complete support and maintenance for your post-warranty PowerEdge servers. Our 7x24 helpdesk is on hand to provide proactive and reactive support, optimizing PowerEdge storage to extend its working life. CDS provide hardware support, maintenance and spares for the full range of PowerVault storage, including disk arrays and tape drives. Our global network of engineers can be on-site in as little as 4 hours to minimize disruption. Full 7x24 support for your EqualLogic SAN arrays, helping to reduce maintenance costs by as much as 50% and guaranteeing quality of service for your users. OEM class support and heartbeat monitoring for your Symmetrix storage using our unique Raytrix ESS remote tools. Full post-warranty coverage and spares for your post-warranty Clariion disk array hardware. Data Domain deduplication is essential to keeping disk storage capacity under control – and CDS can keep your systems running after OEM support is withdrawn. Helping to maintain the performance of your SAN with full support and maintenance for your Connectrix and Brocade SAN switches. Ensure continued operation of your network-attached storage with 7x24 support for your Celerra NAS units. Data in cold storage must remain accessible. Cut the cost of maintaining Centera archiving systems with CDS support services. Providing the hardware infrastructure for many big data deployments, Isilon scale out storage remains crucial – even after OEM support ends. CDS can help. Ensure the continued operation of your VPLEX virtual storage and server environment with low-cost support and maintenance from CDS. Support for your VMWare NSX virtual operating environment. CDS deliver proactive maintenance and spare parts for optimal performance. Full hardware support for Dell, EMC and Dell EMC servers and storage products from a range of product families. Automated, remote 7x24 proactive monitoring ensures that your Dell EMC storage products are working at all times. Advice, guidance and support from our OEM-trained Level 3 engineers who each have an average of 15 years hands-on Dell storage management and maintenance experience. Custom service agreements with SLAs tailored to your specific business needs and budget, from 4 hours, to next business day. Expert guidance to help you plan and manage your product lifecycle and future requirements. Competitively priced support services extend asset lifecycle and deliver a greater return on investment. A global support network ensures your Dell EMC storage and server products are protected anywhere in the world. All Dell EMC storage support calls are answered and resolved by Level 3 engineers, ensuring you get access to the best knowledge and experience immediately. All CDS support and maintenance agreements are backed by a superior strategy for delivering OEM original parts to your site quickly and efficiently, minimizing downtime. Multi-vendor agreements allow us to offer maintenance and support for other hardware in your heterogeneous environment. When working with CDS, you can be sure of receiving a Dell EMC maintenance service that not only resolves issues but does so more quickly and efficiently than you may have thought possible. And all this for less than you current maintenance contract with Dell EMC. CDS offer a complete range of post warranty support services for Dell EMC storage and server products.